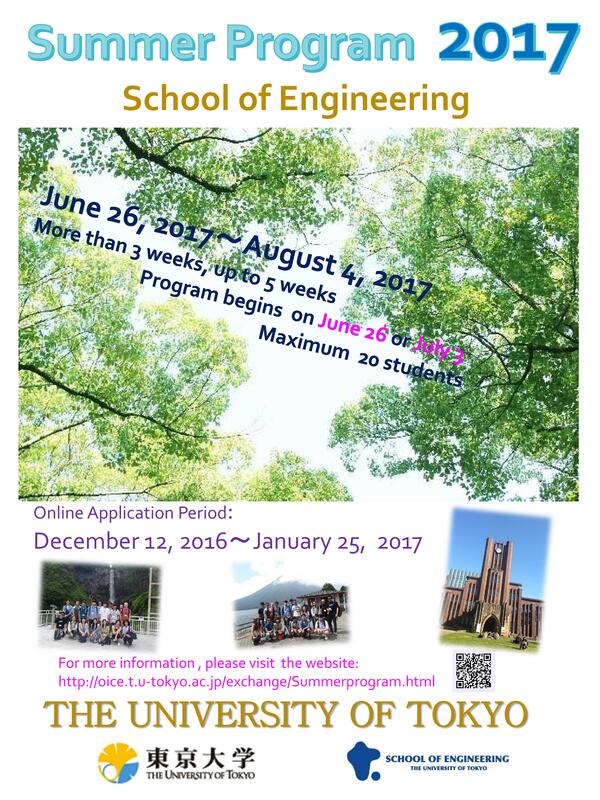 The School of Engineering at the University of Tokyo will be holding its 2017 Summer Program from June 26 to August 4, 2017. This program offers top-class international undergraduate and graduate　students a short-term research experience in the basic and translational　sciences in our world-leading laboratories. We kindly ask you promote the program to your students. Outline of the program is as below.